There are so many things that purport to be pieces of concept art, plot details, information on the state of Luke Skywalker's possible cold, etc. on the Internet these days, it's actually shocking we haven't seen Disney step in more. Could this mean that this leaked image was the real deal? As with the Avengers: Age of Ultron trailer leak, Lucasfilm used the DMCA takedown procedure and followed it up by asking the courts to subpoena the information of an ImageShack user. 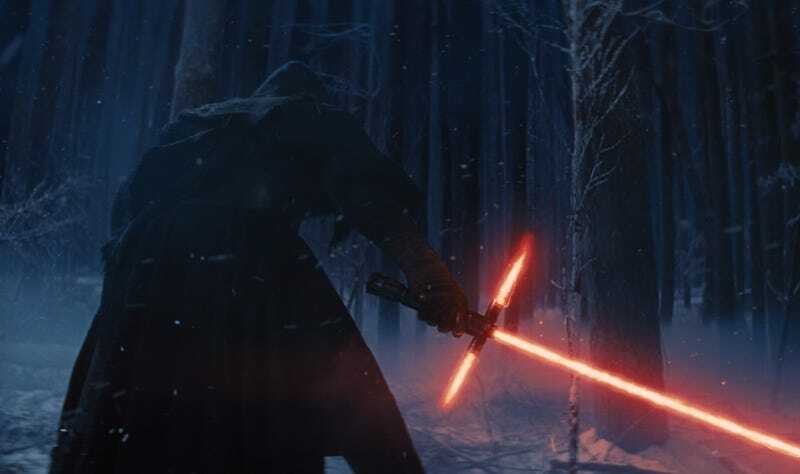 The image that started this all looked like it could be the same broadsword lightsaber wielder we saw in the trailer. He had a dark hood and a mask, so who knows what it revealed. You can see the Lucasfilm's subpoena request at The Hollywood Reporter. Does this mean that the image, which has since been taken down, is legit? Maybe. Technically, all that's needed for this action is infringement, which could just be using their name or working off of one of their characters. And there's been a ton of information supposedly leaked from the production, which has been in roughly the same vein as this image. If anything, this seems to draw more attention to what would otherwise be another drop in the Force Awakens speculation bucket. However, also like the Avengers trailer, it could be that security is overriding any other concern. This could be from a leak they haven't been able to pin down, and someone just posting to ImageShack — rather than leaking anonymously to someone else at a site — provides an in. The DMCA won't make someone say who their source is. But they can easily go after someone just posting an image up on a site like ImageShack. And that's why they want the subpoena, which, after all, is for identifying the person who put the image up. It's a new frontier, where studios have recognized that overreacting to everything about their work on the Internet isn't going to do them any favors, so instead of using the law to play whack-a-mole, they're focusing in on the leaks that actually worry them.